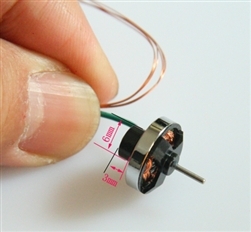 Brushless motor for micro RC helicopter tail rotors. This motor will fit into the stock 6mm tail mount of blade helicopters. Motor must be powered by a brushless ESC.